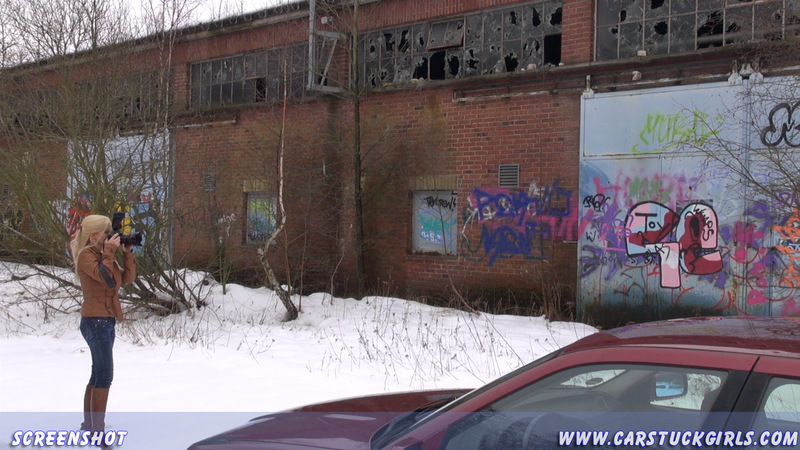 Michelle is looking for a photo shooting location for the newest urban fashion company in town.... hmmm, a graffiti background at an old factory site would be cool. ... Michelle is so concentrated in finding the right spot that she doesn't notice how dangerous slippery the snowy ground is for her rear wheel drive BMW. Even when the wheels are spinning a lot while turning around, she doesn't realize it. Michelle is so much focused on her work, not on the traction ... Yes she stuck, it's close to get out, but somehow after a short distance Michelle is stuck again and again. The situation makes her nervous, so she stalls the car a couple of times ... will she be able to get out ?? ?